Winter is roaring on it’s way out. We had several inches of snow yesterday and another two hour delay for school this morning. 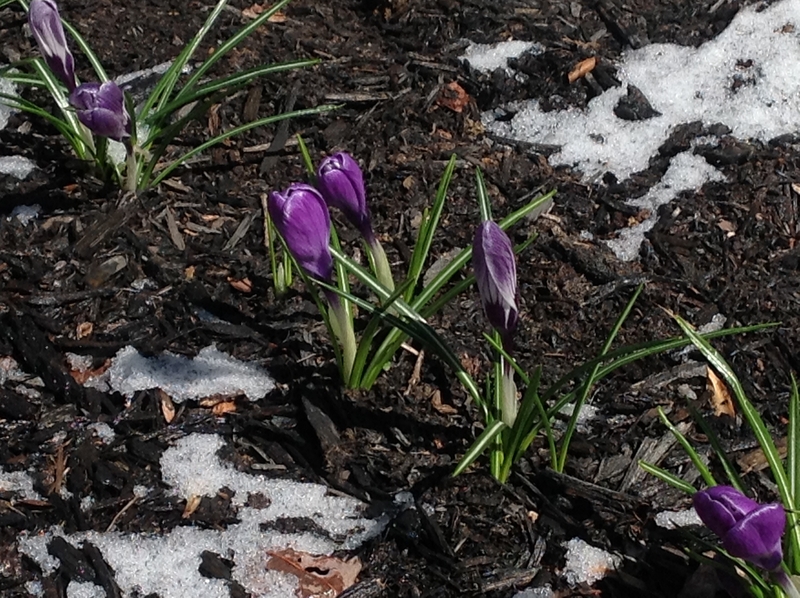 My lovely crocuses are battling the snow. I truly hope this is the end.